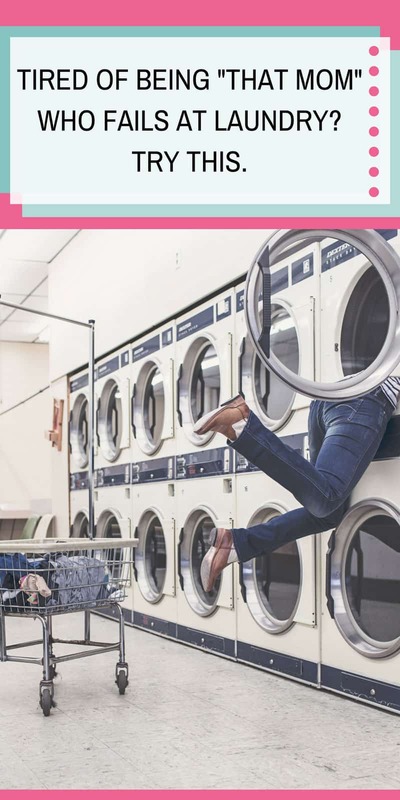 3 Reasons You've Been Failing at Laundry. And What to Do Instead. 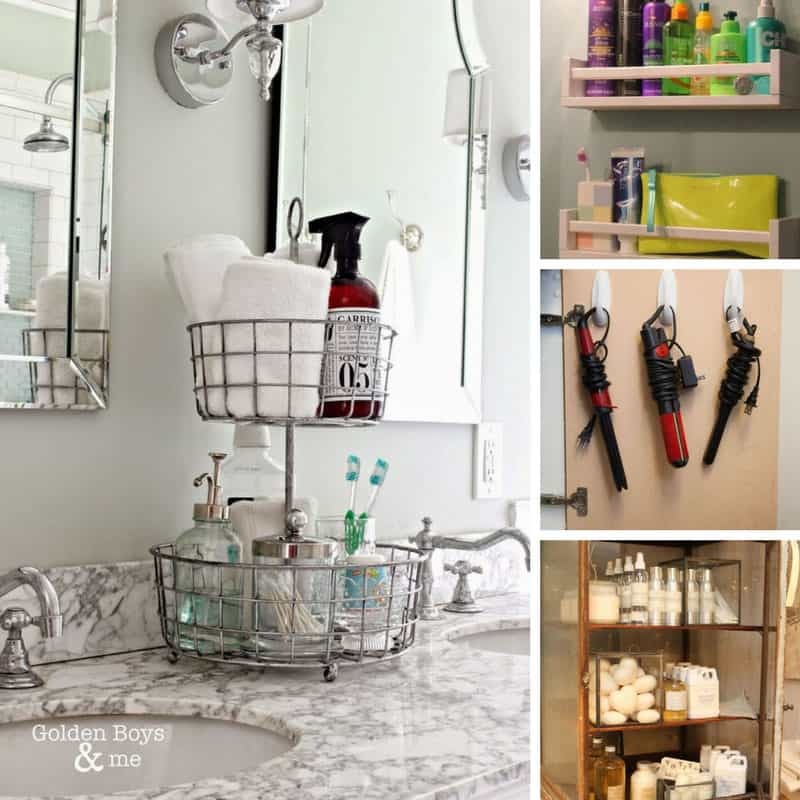 Home > Life Hacks > 3 Reasons You’ve Been Failing at Laundry. And What to Do Instead. 3 Reasons You’ve Been Failing at Laundry. And What to Do Instead. 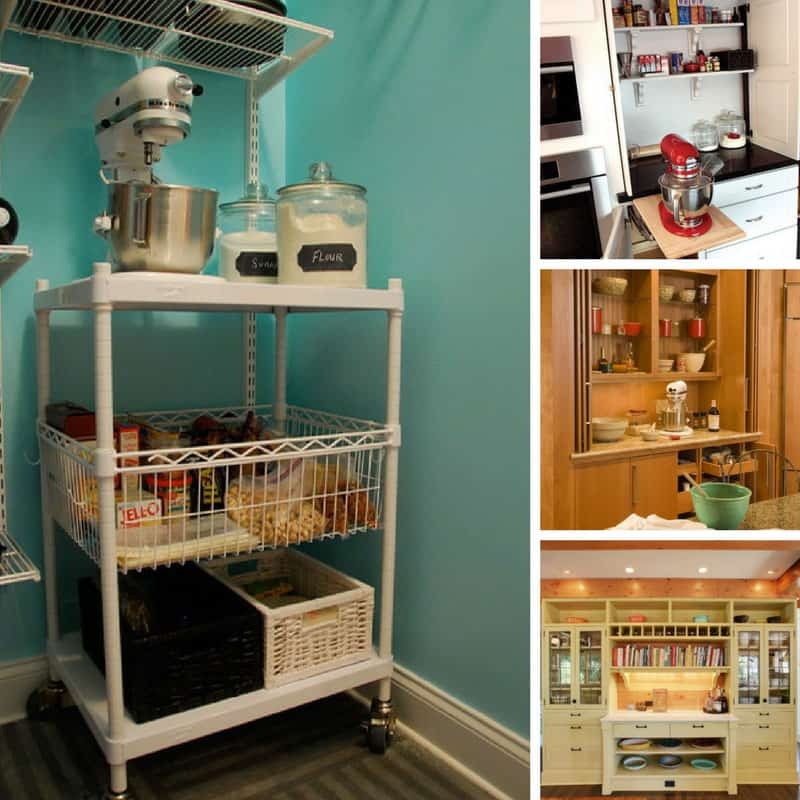 Tired of being “that mom” who is always surrounded by piles of laundry? Try this. How to Keep on Top of the Laundry. Once and for All. If you feel like a failure because you have more clothes sitting around waiting to be washed or folded than you do in the closet you’re in the right place. Because today we’re going to look at three reasons why we’re failing at laundry. And then do something about it. Once and for all! How many outfits do you have hanging in your closet right now? Do you know? Or is it so stuffed full you’re not even sure? And when you don’t have to do laundry that pile just gets bigger and bigger and becomes more and more daunting. If you struggle to find time to fit one load of laundry into your day it’s pretty overwhelming to try and figure out how you’re going to wash a month’s worth of clothes right? The answer is pretty simple. Buy new coat hangers. Seriously! When my laundry was totally out of control last summer I noticed I also had another problem. Deciding what to wear took too much time and was far too stressful. My closet was filled with clothes from all seasons and was so full I couldn’t find anything (or even remember what was in there). So I actually resorted to just pulling clothes off the “to put away pile”, so they never actually made it back into the closet. 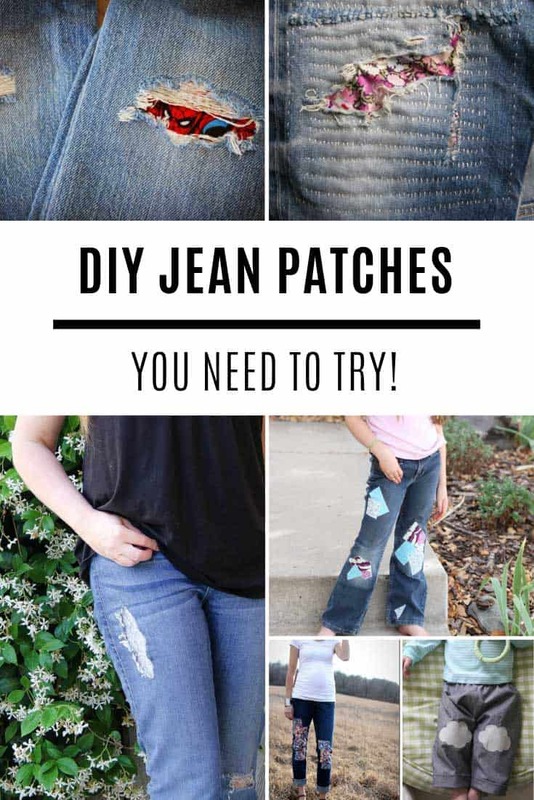 Then one day a pin caught my eye on Pinterest about building a capsule wardrobe with just 37 pieces of clothing that you mix and match and wear for three months (a season). You might think that 37 pieces of clothing doesn’t sound like a lot but you’ll be pleasantly surprised. It is so much easier to get dressed in the morning when you can see what’s in your closet, and you know which items go together. And of course you have a bigger incentive to stay on top of the laundry too! You can find out more about dressing with less and setting up a capsule wardrobe here. It really is the best thing I ever did for my closet! 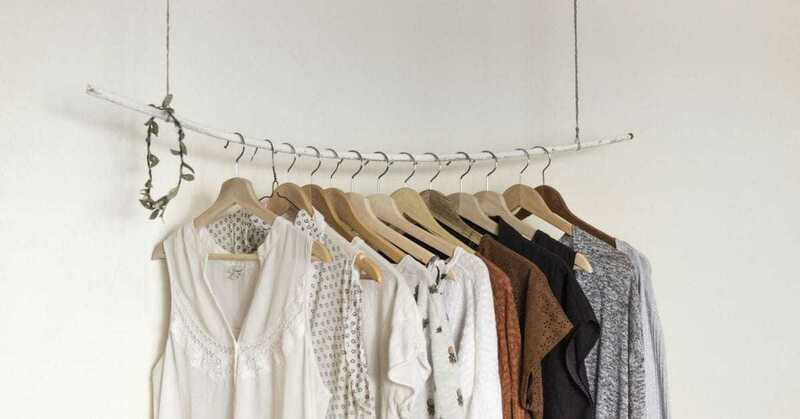 And you don’t have to buy new hangers, but I decided that if I was going to streamline my closet then my mismatch collection of hangers had to go, and it is so much nicer to look in there and see everything neatly lined up on matching clothes hangers! A laundry hamper is a laundry hamper right? Wrong. If you only have a single laundry hamper then all the dirty clothes get thrown in there together. Which means when you come to do laundry you have to empty it all out into a big pile and sort through to separate the darks from the lights. And that takes up precious time, and if you get interrupted you come back hours later to find a huge pile of dirty clothes in the middle of your bed… ugh. The answer? A double laundry hamper! Sometimes the simplest things make life so much easier. Thanks to our double basket the dirty clothes get sorted as they are taken off. Darks and colours go in one side and light in the other. And then when I need to do laundry I lift the lid grab the clothes out and stick them in the machine. No more sorting. Yay! Psst if you have a partner (or child) who can’t figure out which side of the basket to use based on the contents (like mine) then a hamper that actually says Light and Dark should solve the problem! Oh and put a jar near to your laundry hamper to encourage folks to actually empty their pockets. Any lose change can go straight in the jar and at some point you should have enough to go out for ice cream! Fewer clothes and pre-sorted washing make doing laundry easier, but they don’t wave a magic wand and do it for you (although if you have the cash this machine can fold clothes for you!). Nope the biggest reason you’re failing to keep on top of your laundry is that you don’t have a system in place. At it’s basic level the system is simple. Wash. Dry. Fold. Iron. Put away. Repeat. The challenging part is fitting the system into your life right? I know. I struggled with it for the longest time. I tried having a laundry day where I tackled everything in one day but wow that was overwhelming so I kept putting it off. So eventually I settled on making every day a laundry day! To be completely honest I don’t wash bedclothes every week, so on alternating weekends I’ll either skip laundry, throw in a load of lights or wash the throws we have covering the sofa instead. I don’t do a separate wash for kitchen towels because I just throw them in with the light or dark loads. The real key to making a laundry system work isn’t down to what you wash on which day of the week, or even whether you do laundry daily. It’s about doing the system from end to end on each load before you start the next. It’s pretty easy to stick sorted clothes into the washing machine. And then to transfer the wet clothes to the dryer. 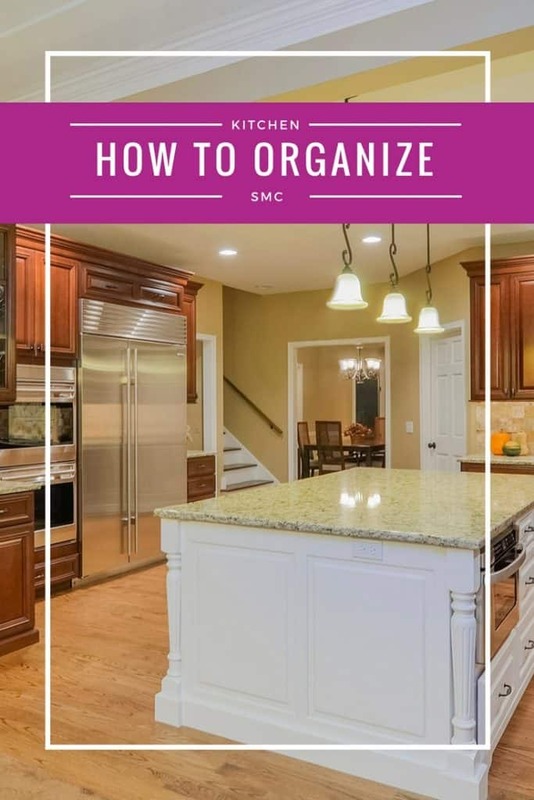 It starts to get time consuming when you have to empty the dryer and fold the clothes, iron them (if that’s your thing) and then put them away. Those last three steps are the worst part of laundry for me and when I fall off the daily “end to end system” wagon I end up with baskets full of washing waiting to be folded, ironed and put away! And then I keep putting it off until I can find the time (and the energy) to do it all. 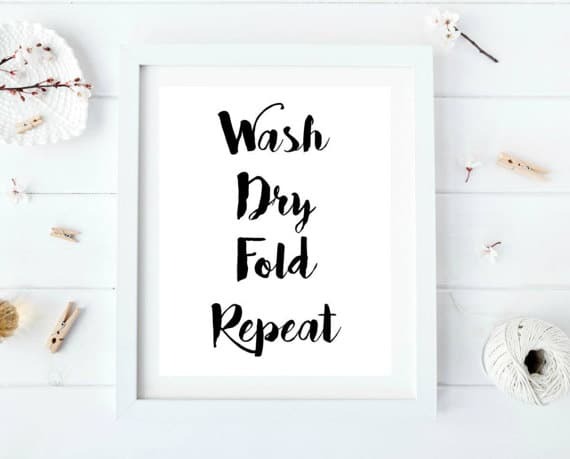 So to keep me and my laundry system on the straight and narrow I’ve tweaked my system and created a cute printable so I can check off each stage as I’ve done it. There’s something quite satisfying about putting a check in a box right? Each day I put a load of laundry in the washer at breakfast time. Then before lunch I move it to the dryer. While I’m making dinner I empty the dryer and fold everything up. I put anything that needs ironing in a basket and put it to one side and the rest of the clothes go upstairs ready for me to put away after dinner. The ironing basket gets tackled once a week while I’m catching up on Grey’s Anatomy! If I’m having a bad day and the clothes don’t get put away then I will make sure I do it in the morning before I put the next load in the washer. That way I won’t end up with an overwhelming pile of clothes to put away! 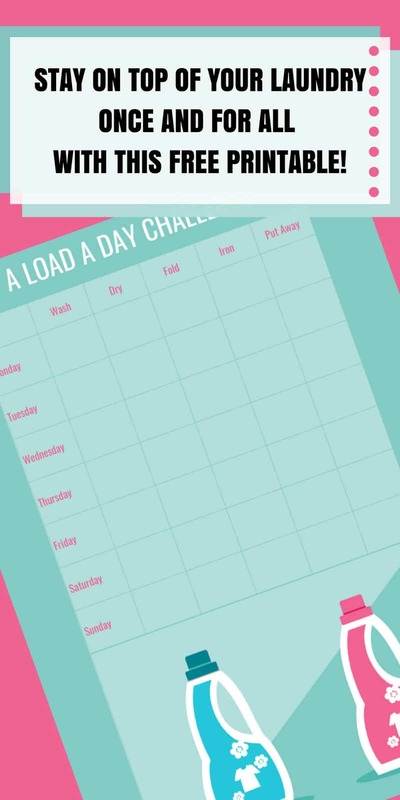 If you want to take the Laundry a Day challenge with me and get on top of your laundry pile once and for all you can download a copy of the checklist by clicking on the button below. You can either print a copy per week and stick it on your fridge or in your laundry room. Or you can print one out, trim it to 8 inches by 10 inches and pop it in a picture frame. You can then check off each task with a dry erase marker and then rub it clean and use it again next week. These dry erase pocket sleeves (that we use for homeschooling) are another clever way you can make your checklist reusable! Oh and while we’re talking about systems, let’s tackle the other thing that likes to try and scupper our laundry routine… odd socks! If you’re like me and you’re always finding at least one sock that has lost it’s sole mate you need to get one of these fabulous bags. Just pop the odd ones in there and then once a month empty it out and see how many pairs have magically reappeared!